Krysta the Dark Queen is a dark fantasy novel by the author Pat Castaldo. Justice or revenge? was Krysta a saintly spirit dealing out divine justice or was she an evil ghoul, a vampire who carved a bloodthirsty path for her own revengeful malevolence? The first part of the book is taken up with the principal protagonist Joseph Smith meeting the dark, mysterious and beautiful Clarissa. At first Clarissa appears to have total amnesia about just who she is, and quite quickly they fall in love. As the novel progresses they eventually learn more and more of Clarissa's past and things start to go wrong for those around Joseph. Essentially the story itself is a love story, set against a dark fantasy backdrop and complicated by the history of Clarissa. The novel is written in a very sharp, unclutttered and fairly raw style, which is both a blessing and a curse. It's not as easy to read as it could be but you get a very clear sense of all the emotions the author is attempting to pour through the characters. The story itself is very good, with a rich and imaginative plot that saves the book and keeps the reader interest high. The characters are interesting but a little flat, while the pace does vary a little and at times slows a little more than I am comfortable with. The book is worth your perseverance though as it really is an intriguing tale, and some of dialog is quite excellent while the action does really develop in the second half of the book and the pace really picks up towards the end. The way the author manages to keep the reader guessing about the the whole is she good or is she bad trope and again helps to keep the reader interested. 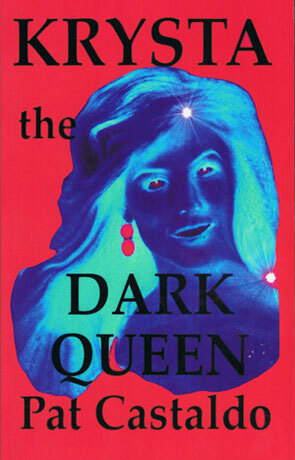 Krysta the Dark Queen is a flawed gem, there are many areas where the novel works very well but ulimately it's let down by the less than descriptive dialog and very raw edge, I do believe though that with good editing there could be a shining diamond hidden beneath.